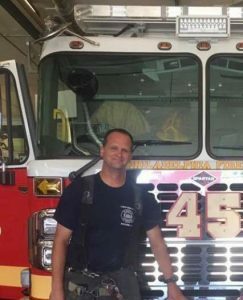 A fire that tore through a rowhouse in North Philadelphia claimed the lives of firefighter Lt Matt LeTourneau and a civilian on Saturday. Another civilian is in critical condition. Two other firefighters were taken to the hospital with non-life-threatening injuries. The two alarm fire broke out at around 9 a.m. Saturday morning. Firefighters managed to get the fire under control in about an hour. Lt LeTourneau was trapped when the interior of the rowhouse collapsed. He was under the debris for about 30 minutes before firefighters could reach him for rescue. Though he was transported to the hospital, he didn’t make it. Firefighters, much like police officers, are a breed apart. Running into burning buildings in order to save lives is extremely hazardous. It’s a profession where heroes live and die. 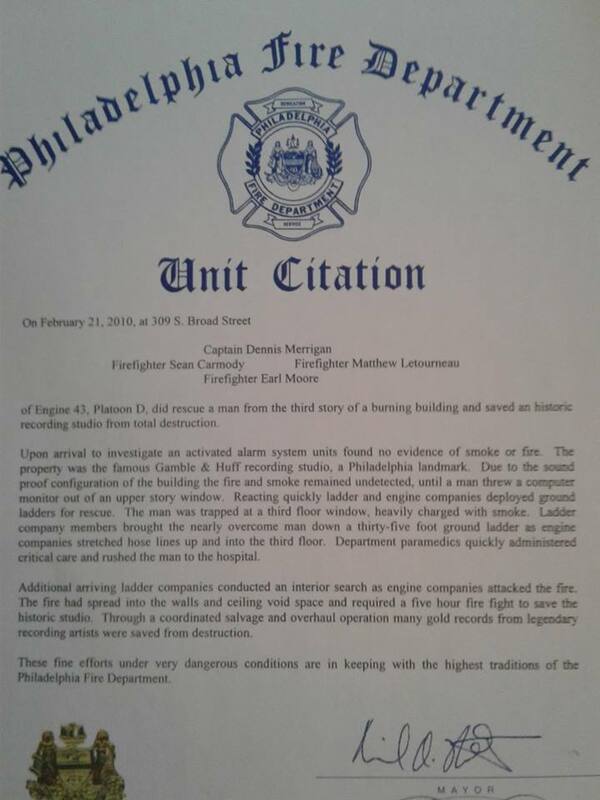 Lt Matt LeTourneau was an 11 year veteran of the Philadelphia Fire Department. Those who worked with him knew him as a man of honor and integrity who loved his job. The following is a Facebook post from Deputy Chief Denny Merrigan, who worked with Lt LeTourneau at Engine 43. LeTourneau was currently with Engine 45. He was promoted to Lieutenant in 2015. “There’s a saying in the fire service- never judge another firefighter by the numbers on their helmet or the station they’re assigned to. Rather you judge them by their performance on the fire ground, by their heart and their dedication to the job. I’ve had a lot of assignments over the course of my career including some “less than desirable” spots. I can attest to the validity of that fire service saying. When I was sent back to Squrt 43 after making Captain I was pissed off no sugar coating it. 43’s is a spot that will grind you up the FIRST time let alone the second go around. I learned that I didn’t have any reason to be aggravated. What I quickly realized is that I had a fantastic crew including Matt Letourneau. Matt was a natural leader and it was evident how much he loved the profession. It didn’t matter to Matt that he was at E-43. 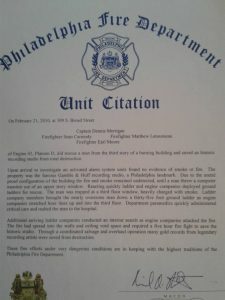 What mattered to Matt was that he WAS at Engine 43 or WHEREVER… as long as he was hanging his hat in a PFD station. 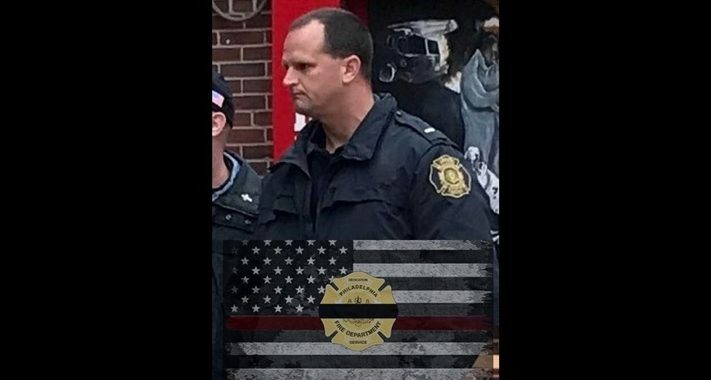 Every day he was checking the equipment, washing the truck, helping make breakfast or whatever, it didn’t matter because THAT is where Matt belonged, where he wanted to be- in the firehouse. I thought about his effort when I was feeling sorry for myself getting a second tour at 43’s. Here was a guy who was thanking his lucky stars for his FIRST! That’s the kind of guy Matt was and he taught me to be happy just for being part of the greatest job on Earth. Originally published by Faye on Uncle Sam’s Misguided Children.